The Flow tea light holder from Holmegaard creates beautiful shadow effects with its unique shape. The shadows provide an almost magical light in the room and are reminiscent of rings in the water, which grow bigger and bigger until they finally disappear. The tea light holder is 7.5 cm high and has a diameter of 10 cm. Made of glass, the material also matches the flowing name, because glass is a liquid material in constant motion when hot. The Flow tea light holder is available in different colours. 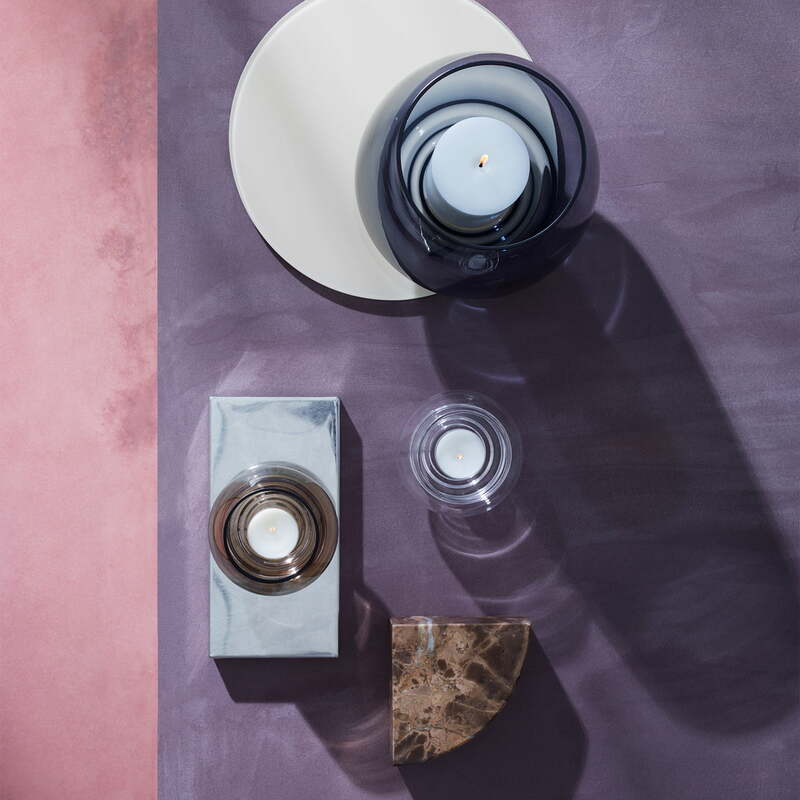 On the dining table, side table, sideboard or in the windowsill, it is a real eye-catcher both alone and with several or together with the Flow block candle holder from Holmegaard. 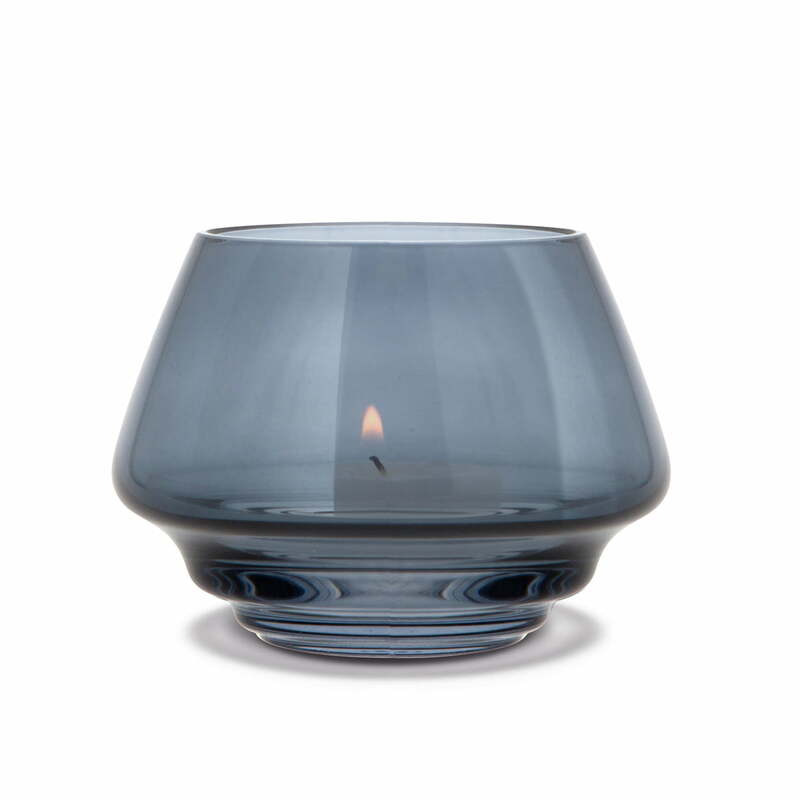 The Flow tea light holder Ø 10 cm from Holmegaard in blue. 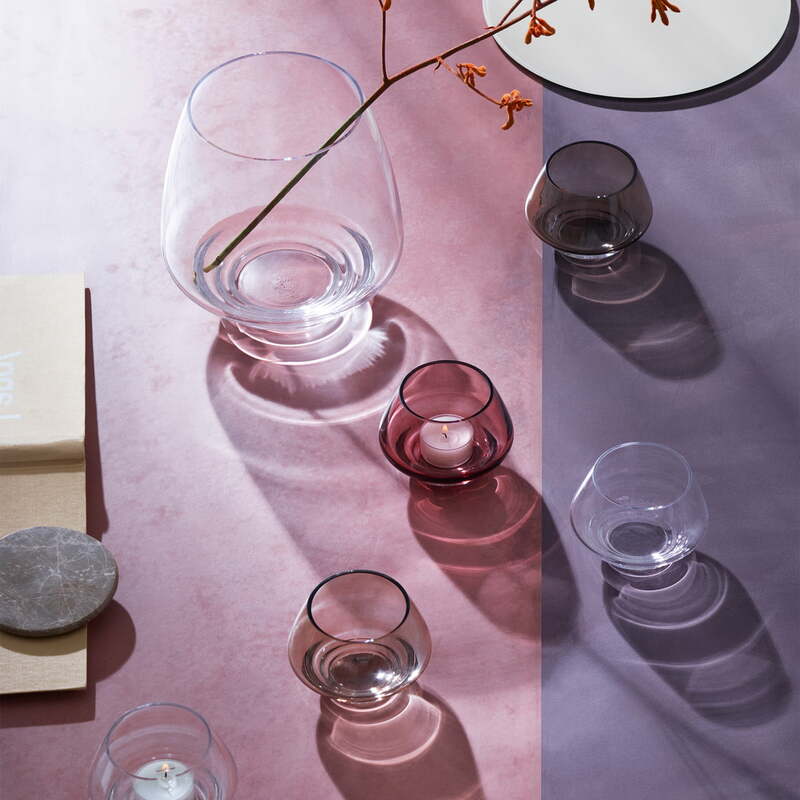 The Flow tea light holder from Holmegaard creates beautiful shadow effects with its unique shape. The Flow block candle holder with Flow tea light holders from Holmegaard in the ambience view. 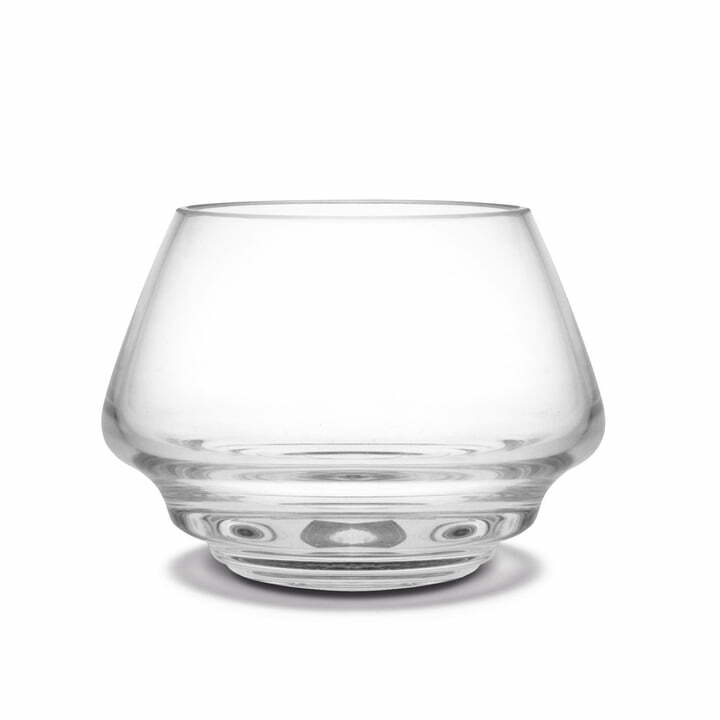 On the dining table, side table, sideboard or in the windowsill, it is a real eye-catcher both alone and with several or together with the Flow block candle holder from Holmegaard. The Flow block candle holder with Flow tea light holders from Holmegaard in the ambience view. The shadows create an almost magical light in the room and are reminiscent of rings in the water, which grow bigger and bigger until they finally disappear.